The generosity of Eric Jackman, Margaret and Wallace McCain and an anonymous donor helps reinvigorate and expand one of the world’s leading lab schools and teaching research centres. In January 2018, after months of waiting for construction to end, a group of excited students from junior kindergarten to Grade 6, as well as a cohort of educators and researchers, entered their brand new gymnasium/auditorium for the first time and began the next chapter in their school’s nearly century-long history. They were welcomed by Elder Nancy Jones of Nigigoonsiminikaaning First Nation, who helped officially open the Dr. Eric Jackman Institute of Child Study (EJICS) at the University of Toronto. The historic expansion of the school, teacher education program, and research centre was made possible through the tremendous generosity of Eric Jackman, who gave $5 million, along with Margaret and Wallace McCain, who gave $3 million, an anonymous donor who gave $1 million, and many other friends and supporters of the Institute. 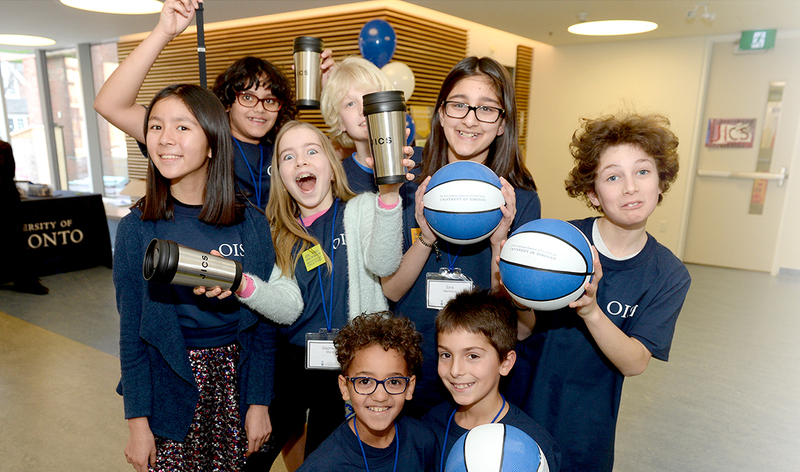 The expanded facility includes a new gymnasium and auditorium, the J. Fraser Mustard Assembly Hall, as well as updated classrooms that further cement EJICS and U of T’s status as a leader in research-based early human development and childhood education. The award-winning lab school is considered to be one of the best of its kind in the world. Under the auspices of the Ontario Institute for Studies in Education (OISE) at the University of Toronto, the Jackman Institute is a leader in pedagogical research and early learning. In 2016, the school received the Outstanding Laboratory School Award from the International Association of Laboratory Schools.